If you are a young woman (or identify as one) and aged 14 -16, with an interest in equal rights and creativity, join us for a free afternoon workshop. 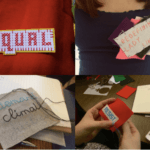 Explore your creative activist side through a guided hands-on craftivism session (crafting in the service of social, political or environmental change) alongside playful discussion with a small group of your peers. Presented by artist Alinah Azadeh, this session will explore and discuss what barriers still exist for young women today 100 years after suffrage, and ways they can be addressed through art and craft practices. It will also give you tools to take away in dealing with specific issues such as sexism in school and beyond. 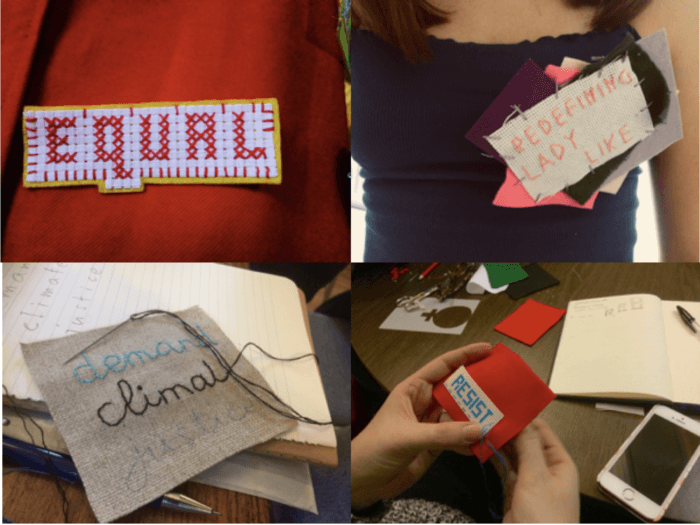 The workshop will also act as tour of art and craftivist work inspired by the pioneering, creative campaigns of the Suffragettes and many other, lesser known campaigns nationally and internationally which use individual or collective creativity to speak out and act on social - and other forms - of justice. Places are free, booking required. Makers of Change is produced by A Woman’s Place Project CIC, a contemporary arts organisation which takes equality as its starting point, exploring it creatively through exhibitions and projects. The two events have been made possible through support from the Chalk Cliff Trust and Depot. Alinah Azadeh is a Lewes-based artist, writer and performer, using textile, interaction and storytelling to open up fresh ways of reflecting on our social and cultural identities. She is interested in interdisciplinary ways of working that enable creative, social and political agency in others. Over the last two decades, her public artworks have invited thousands of people to take part in installations and live works on subjects ranging from grief, loss and debt to gender equality and migration. Commissions include The Gifts (2010, Bristol Museum), Westminster Hall (Magna Carta Anniversaries Banners, 2015), Revolutionary Makers, (Hull City of Culture / WOW Festival, 2017) and Burning the Books (2011-15, Arts Council Touring). She is Associate Research Fellow at the Birkbeck Centre for Contemporary Theatre.